Kathleen Kelly is a civil litigator who focuses her practice in mass tort litigation involving pharmaceuticals and medical devices, as well as product liability, foodborne illness and environmental litigation. She advises clients in FDA regulatory compliance and reporting including: NDA, ANDA and OTC monograph pharmaceutical drugs; PMA and 510(k) cleared Class III and Class II medical devices. She serves as national and regional counsel in state and federal courts, supervising outside local counsel in mass tort litigations. Kathleen is experienced in eDiscovery, providing clients with guidance on preservation obligations, efficient data collection, and implementing and negotiating ESI protocols. Manage electronic discovery in multi-district mass tort complex litigations. Versed in Relativity, Concordance and Summation. Coordinate data collection with clients and litigation support vendors. Supervise attorneys on document review. Successful negotiation of protocols resulting in cost savings for clients. 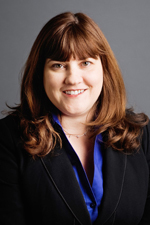 Ms. Kelly joined Hinshaw & Culbertson LLP in June 2010. Previously she was Of Counsel to the Boston office of Wilson Elser Moskowitz Edelman & Dicker LLP. Actively serving as national counsel for a generic drug manufacturer in multi-district litigation arising out of the use of the drug metoclopramide. Actively serving as national coordinating counsel and providing risk management services for a medical device manufacturer in litigation arising out of a recall of surgically implanted spinal fixation devices. Served as national coordinating counsel for a leading pharmaceutical company in litigation arising out of a professionally labeled OTC product. Represented national retailer in E. coli 0157:H7 outbreak and local retailer in Campylobacter litigation.